Bivol has discovered a new affair related to real estate and power, involving the Bulgarian candidate for EU Commissioner Mariya Nedelcheva – Gabriel. Real estate luck obviously follows closely the MEP’s family. 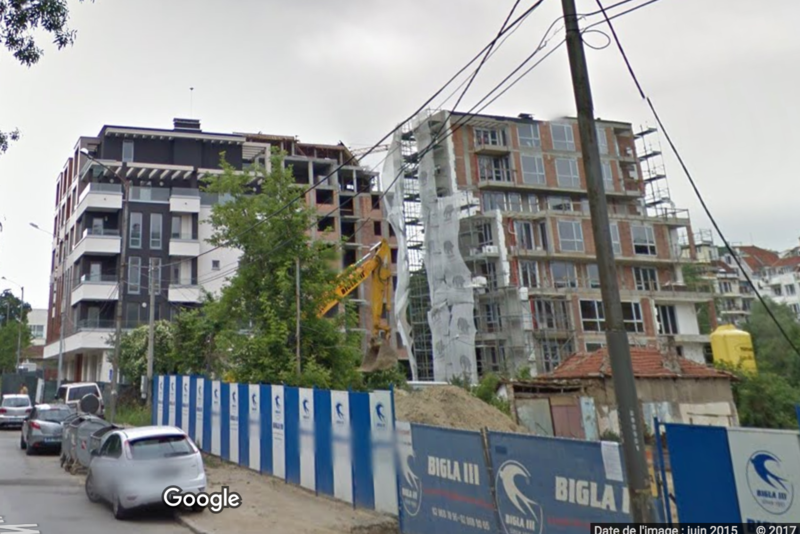 While she has been using for years, and only until a month ago, cheap municipal housing for BGN 400 per month, and saved from it in the course of seven years nearly BGN 80,000, her brother Boris Nedelchev (now 36 years old) has managed to acquire a large apartment in Sofia. He has made an extremely profitable deal with the company “Bigla III”, which earned him a big profit in the course of three years. In fact, his apartment ended up being free. “The Dianabad Residence development on “Pimen Zografski” Street in Sofia’s “Dianabad” district has a quiet, tranquil and yet communicative location with good infrastructure, close to a school, a day care, a subway station and surrounded by many parks,” this is how the owner of the construction company “Bigla III” advertises one of its many projects in the elite Sofia district “Iztok” (East). There are still apartments available for sale in this development. Average prices amount to around EUR 1000 per square meter. To buy a decent home in such a development, one must have available a minimum of EUR 50,000; at least “Bigla III” sells its finished apartments at similar market rates. Boris Nedelchev, however, bought in 2014 not a finished dwelling but a “right to build” for an apartment of 82 square meters. The declared price was BGN 39,000 or EUR 237 per square meter. In the following 2015, Nedelchev exchanged the apartment for a larger one – 96.94 square meters, for which he paid “Bigla III” BGN 32,000. The exchange was itemized in a notary deed on September 19, 2016 but the deed did not declare an additional material interest. Thus, according to documents, the apartment cost Nedelchev the almost symbolic amount of BGN 71,000 – a price far below the minimum limit of any market mechanism. Fast forward another year, at the end of 2016, the new homeowners – Boris Nedelchev and his wife – sold the same apartment for BGN 180,000. Bingo! The Nedelchev family came out of the quick real estate tricks with a net profit of over BGN 100,000. Several months earlier, Nedelchev and his wife bought an apartment of 100 square meters in another neighborhood for BGN 100,318. A simple calculation shows that the profit from the apartment in “Dianabad” entirely covered this purchase. It should be noted here that the only right to build in this building that was granted by the builder “Bigla III” was to the brother of Maria Gabriel. All other apartments were sold finished and at prices that matched the market ones. In addition, there are no entries in the property register for mortgage loans in the name of the MEP’s brother and sister-in-law. The right to build and later, the profitable exchange have been paid in cash. It’s hard to find a logical explanation as to why “Bigla III” made such a huge financial gesture to this family. But there is one very interesting fact in “Bigla’s” real estate registry batch that caught our attention. The company has also been involved with the Sofia Municipality, which, as we know, has been irrevocably controlled by Gabriel’s ruling Citizens for European Development of Bulgaria party (GERB) in the last 12 years and was the one to provide a cheap apartment from its own fund to the MEP. In 2013, “Bigla III” and an individual named Boyan Boyanov bought from Sofia Municipality attributable parts of terrains with a total area of 514 square meters. The municipal plots have apparently been listed as salable after a change in the regulation plan and have shaped the “Dianabad” terrains where “Bigla III” has built an entire neighborhood, including Nedelchev’s apartment building. There is no information on the sale price, but considering the registration fee of BGN 332 (0.1% of the material interest), it was in the vicinity of EUR 165,000. This is nearly three times cheaper than the current average price for such properties, and in 2013, similar plots were sold at the skyrocketing prices of more than EUR 1 million, according to statistics from the site imot.bg. We approached for information the company, which is one of the largest in the industry. We asked who could tell us details about the particular deal with Nedelchev from 2014 and the secretary gave us the phone number of Commercial Director Ivan Angelov. We contacted Mr. Angelov and asked him whether he remembered this special client Boris Nedelchev; what he could tell us about the right to build and whether he had paid for the finishing construction works for the apartment. Angelov could not remember, but said that if he decided to give us the information, he would contact us. We sent him a text message with the details of the deal, but we did not receive any response until the editorial closure of the article. We were unable to reach Maria Nedelcheva’s brother, nor his wife, for comment. “Bigla III” is owned by Krassimir Shalev, who is also behind the “Shalev Investment Group”. The company is one of the largest in the industry and in 2016 won the “Building of the Year” contest. A Consortium, featuring “Bigla III”, won in 2011 the contract for the major overhaul of the National Museum of Bulgarian Fine Arts (the former Prince Palace) in the amount of BGN 2,399,106. However, the work assigned under the Minister of Culture, Vezhdi Rashidov, has been poorly executed, an audit of the Ministry of Culture, published by Bivol, reveals. From the attached expert report, we learn that the contractor and the designer have deprived the State through low quality repairs that the construction supervision has approved. On its own, or in various consortia, “Bigla III” has won public procurement for over BGN 13 million, a reference in the public procurement register shows. As is well known, one of the distinctive features of GERB’s government is that it distributes public procurement exclusively to party-related companies.